Foreign minister calls for Attorney General to investigate 'fifth column' Arab-nationalists who visited Hamas fund supplier Qatar. Foreign Minister Avigdor Liberman (Yisrael Beytenu) on Monday responded to reports the day before that three Arab-nationalist Balad party MKs, Hanin Zoabi, Jamal Zahalka and Basal Ghattas, visited Hamas-sponsor Qatar in recent days. "The trip by the Balad party members, the party founded and led by Azmi Bishara who was accused of serious spying and fled Israel, proves again decisively to those who were still uncertain, that their place is not in the Israeli Knesset," wrote Liberman on his Facebook page. According to reports, the three Balad MKs met former MK Bishara while in Qatar, where he has been hiding after passing information to Hezbollah in the 2006 Second Lebanon War, helping direct their missiles at Israeli citizens. "While Israel is still in a fierce campaign against the terrorists from the Hamas organization, Balad MKs traveled to Qatar and demonstrated support for (Qatar-based Hamas leader) Khaled Mashaal and his comrades," added Liberman. Liberman stated that in the past his party "petitioned the Central Elections Committee to outlaw Balad from running for the Knesset, but the Supreme Court rejected the petition." 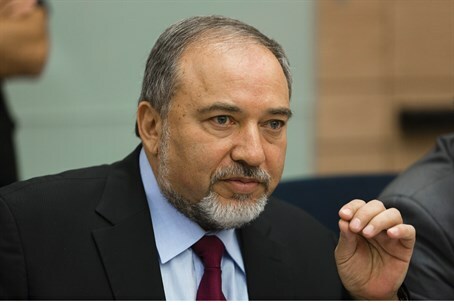 "We will continue and do whatever possible so that this fifth column list representing the terror organizations in the Israeli Knesset will find itself far from the house of representatives and behind lock and key," declared Liberman. The foreign minister went on to call for the Attorney General to get involved in the issue, saying "with their return from Qatar it would be proper for the Attorney General to investigate" the trip. Points to be investigated according to Liberman included "the source of funds for the MKs visit, who paid for their stays at the fancy hotel, did they receive cash from Bishara and his activists, the legality of the visit." Liberman added the need to check "if they committed infringements of the state's security, such as contact with a foreign agent, and if funds were transferred at their request from Qatar to the terror organization 'Bnei Hakfar' (Children of the Village)."